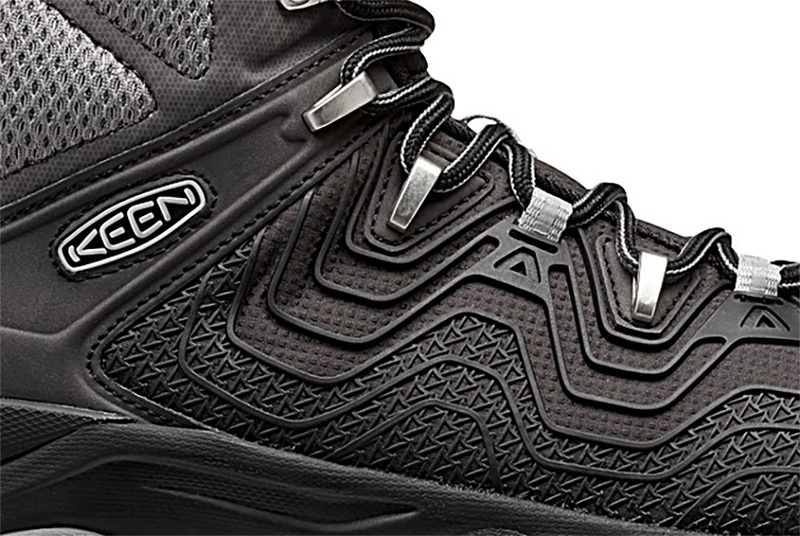 A contoured ‘support skeleton’ ensconces the upper on the APhlex, a new boot from KEEN this fall. We took the waterproof (and lightweight) high-tops hiking and on a hunting trip into the Rocky Mountains. It was somewhere during the 1,000-foot descent through a steep, slippery aspen grove that I decided the KEEN APhlex ($160) is a magnificent boot. And while the ankle-rolling, knee-twisting capability of the down-climb cemented my opinion, I’d been loving these boots since the first day I slipped them on. Light, moderately supportive, and supple, the Aphlex is a great boot for times when a trail running shoe just won’t quite cut it. To be clear, I love trail running shoes for hiking on trail. 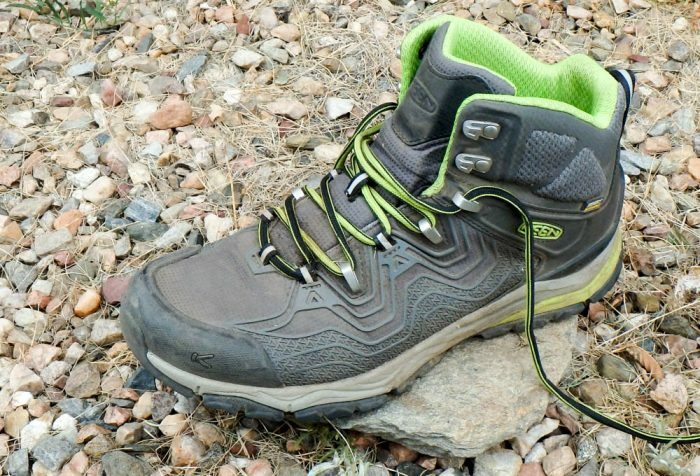 But when the going gets tougher and trail gives way to bushwhacking and loose, steep terrain, a high top boot excels. The APhlex is light. At 17.6 oz per shoe, it’s only a few ounces heavier than a lot of trail running shoes. But the tough TPU “exoskeleton” upper leads to good heel and toe protection. 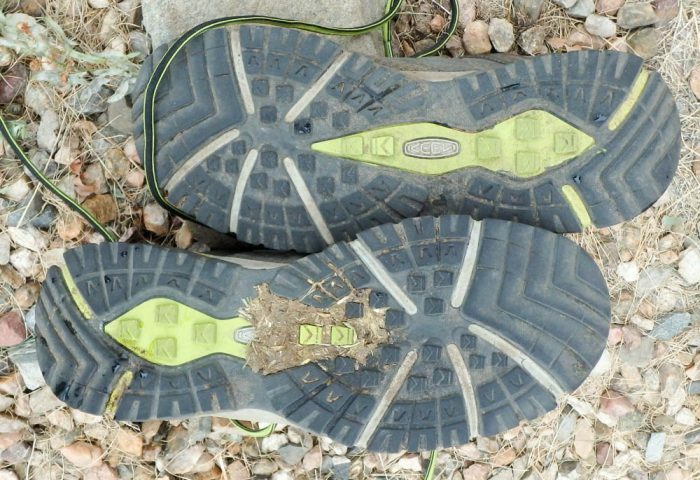 A stability shank through the EVA midsole helps support the foot over rough ground. The outsole proved to have plenty of traction, although the lugs are not super deep. The few slips and stumbles I sustained over big miles of hiking were due to rolling rocks, not the outsole slipping. 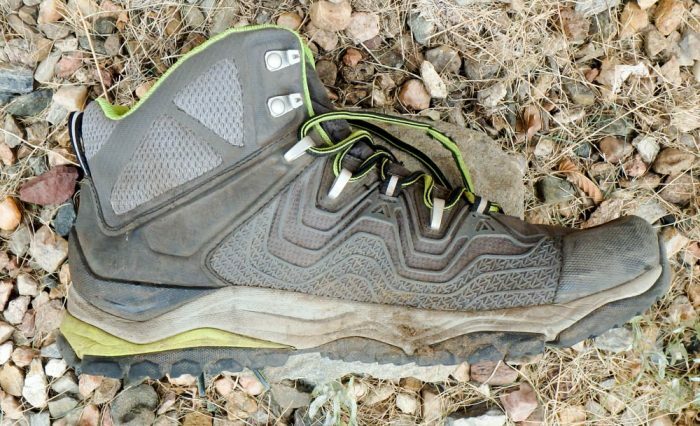 While KEEN doesn’t market these boots for hunting, I’ve found there is no better test of boots than putting down huge miles, off trail, through variable conditions in the Rocky Mountains. That’s elk hunting in a nutshell, and these boots pleased me every step of the way for several days of remote, high altitude travel through September that saw heat, sun, rain, and even a little snow. The big plus for me that’s hard to quantify: The boot really doesn’t want to “roll,” meaning that even when I took errant steps, the boot rolled my foot back to flat instead of over my ankle. The toe guard is also nice, as I kicked plenty of rocks and logs by accident and the force was blunted entirely. 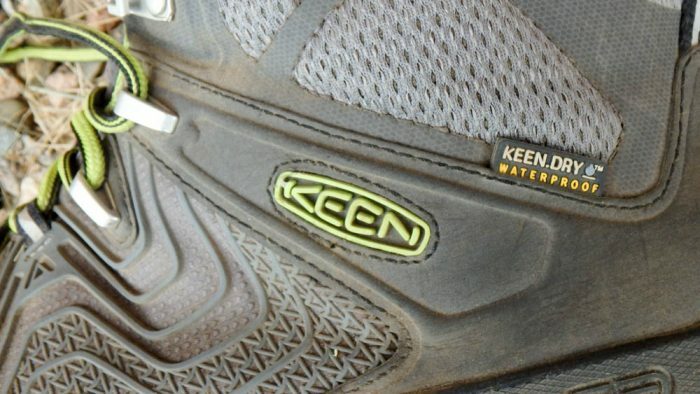 KEEN uses a proprietary waterproof/breathable membrane in its waterproof boots. While the debate continues around waterproof/breathable materials (because foot sweat tends to make them wet from the inside over time), I personally find my feet drier while hunting in waterproof boots. These worked. Several times I stepped into deep muck or water, and I walked through hours of light snow and rain one evening. My feet remained dry and fairly warm, although these boots are not insulated. I did note some moisture in my socks after a long day of hot hiking, which is to be expected with this kind of waterproofing. The APhlex is a nice light hiking boot for those who want to move fast, but need a little more protection than a trail running shoe provides. At $160, they are right on par with the competition. They appear well made, and I’d expect those who walk big miles will get a solid season or two out of these boots. Better yet, they’ll have comfortable feet for every step.